SPW019918 SCOTLAND (1927). 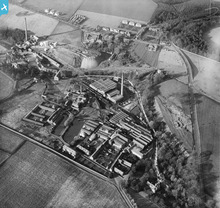 Tullis Russell and Co. Paper Mill, Glenrothes. An oblique aerial photograph taken facing north. Title [SPW019918] Tullis Russell and Co. Paper Mill, Glenrothes. An oblique aerial photograph taken facing north. 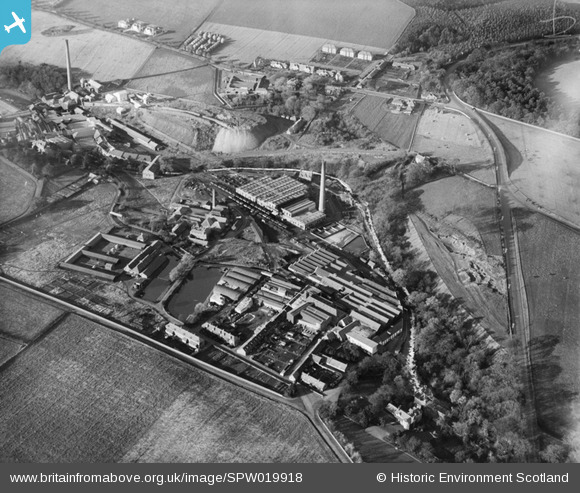 Started in 1804 Rothes Mill is the oldest in Fife. The mill, that made quality printings and writings, shut 1 April 2015 shortly after opening a new CHP plant.